Electric cars are quiet, get great mileage, and don't pollute the air. But if you ask officials in Yokohama, Japan's second-largest city, an electric car has yet another attribute: it can feed the electricity network. Because electric vehicles run on batteries, officials believe they could store energy and channel it back into the home or even provide electricity to the community if it was connected to a central grid. Yokohama is one of four cities in Japan testing the Smart City concept, bringing together power companies, electronics firms and others. Nissan Motor Co. is providing the EVs and tips on where best to place charging spots around town. In Yokohama's vision, homes and businesses will be connected to a smart grid that combines electricity and telecommunications to make the most efficient use of energy across a community. Solar panels will be installed on rooftops, and instead of having a separate storage unit, electric cars would capture that energy. In doing so, the car would run on clean energy and provide power to households when demand arises, the city says. "Electric cars would play a very important role in this kind of city," said Tetsuya Nakajima, director of Yokohama's Climate Change Policy Headquarters. 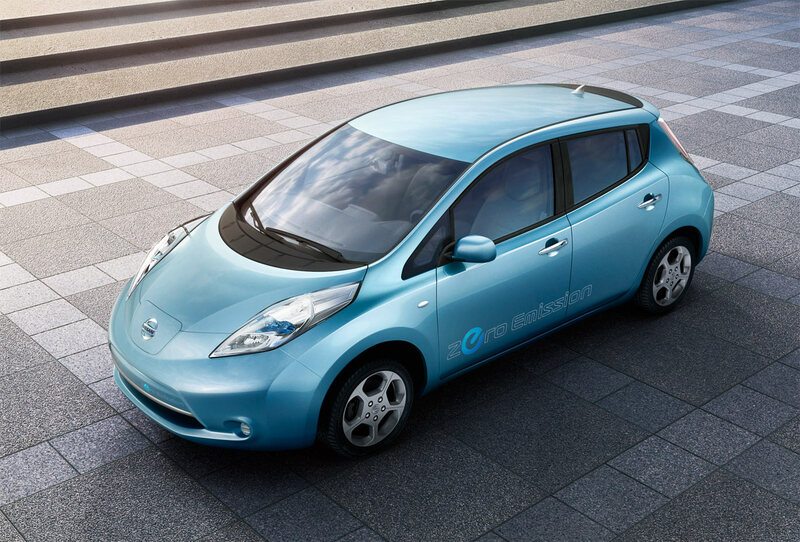 Over the next five years, Yokohama, home to Nissan's global headquarters, is aiming to have 2,000 EVs in use in three neighborhoods, comprising 170,000 households and 420,000 residents. The city, with a population of 3.7 million, is targeting a 25 percent reduction in greenhouse gases by 2020 from 1990 levels, and 80 percent by 2050, Nakajima added. Nissan also believes EVs could open up other possibilities for car-based transport, such as making taxis more efficient. "A lot of taxis drive around looking for passengers, and that wastes fuel," said Hideaki Watanabe, managing director of the zero emission business unit at Nissan and its French partner, Renault SA. Instead, Nissan's central data unit, connected to all of its EVs, could indicate which taxis are free and passengers could "call" them through a reservation center online. Rather than trawling for passengers on the streets, the electric taxis could be parked at charging spots at train stations or hospitals.